Disclosure: I was compensated for this post. However, all opinions expressed are 100% my own. 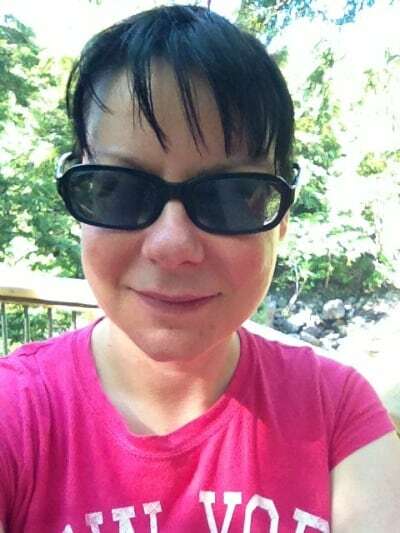 Don’t get me wrong, I do take selfies, but I just don’t often share them. This month, however, I will be sharing some selfies on my Twitter, Facebook and Instagram, but it’s for a good cause. Let me explain. Johnson & Johnson has launched the “Selfless Selfie” campaign to allow people to give back to causes they care about. They are encouraging people to donate their selfies via their Donate a Photo app and share their selfies with their social networks to inspire others to do the same. When you share your selfie through the Donate a Photo app, Johnson & Johnson will donate one dollar to a charitable cause. You can pick which cause you want the money to go to from a list on the app. If you are taking selfies anyways, why not do a good deed and raise some money for a charity? Check out the list of causes and see their progress so far! There’s many good ones on there that I would support. Each cause has a goal and once they reach it, another cause will take its place. You can learn more about all the causes in the app. Also, you’ll be able to see and share the impact of your photo via an action band. This will tell you what your photo did (ie. helping a girl in Liberia go back to school). The app is free and found on both iOs and Android platforms. Donations can only be made via a mobile device, but all devices like laptops, deskstops, etc can access the site to see the photo gallery and keep track of the progress of each cause. Sounds easy enough right? Here’s what you need to do to donate your selfie. 1. Download the Donate a Photo app on your iOs or Android device and register to get started. It’s free. 3. Upload your selfie and then share it on Facebook, Twitter and/or Instagram. 4. Encourage your firends and followers to do the same and support some good causes. NOTE: This app is only available in the USA. You can donate a photo everyday! Remember each time you do Johnson & Johnson is donating a $1 to the cause you selected. I can’t wait to see all your selfies! My Summer Driving Playlist + $500 Giveaway! To send a student to nursing school. I would support Girl Up! Girl Up – helping send girls to school in Liberia. Great cause! I would more than likely support the one that helps a child in Mexico get to school safely. Helping children in Mexico get to school safely! I would support Girl Up. I have a niece from Liberia. I’d like to support Safe Kids Worldwide. Thanks. I want to help a girl in Liberia go back to school. I want to send a girl to school in Liberia. I like the anti-bullying one. I’d love to support Girl Up! I chose the One photo helps a girl in Liberia go back to school! This is a really neat site!! The One photo helps a girl in Liberia go back to school cause! I would like to support the Foundation of the National Student Nurses’ Association. I would donate to stop bullying. 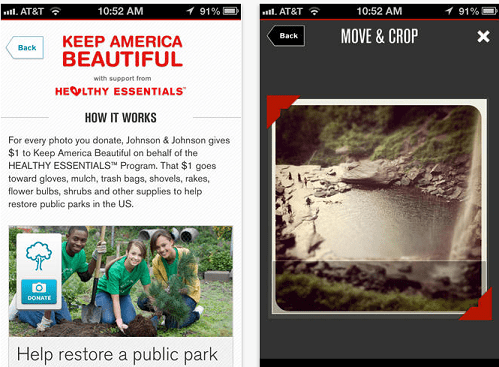 I would like to support the efforts of Keep America Beautiful in the restoration of public parks. I’d support the One photo helps send a student to nursing school.